Barbara, the ship is wonderful! It has a very clean feel to it, the mast works and sails are exquisite. Keep up the great work, and thanks for the kind words concerning the DVD. You've inspired me to try a seascape. I've always loved the ocean and painting waves is something that takes a special talent. I believe you've achieved a very good representation of them in this work. I can't wait to see your results with a still life. I'm sure we won't be disappointed. 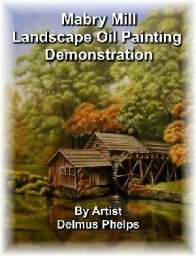 Delmus, thank you so very much for the kind words about my painting. 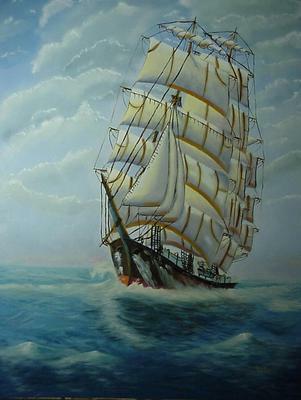 The ship I painted was in New York at tall ship festival. We got nice and close to them. It was an outstanding day with all the old and new boats.There were many ships. I love the tall ships. Again Thank you so very much for all your help.